Finding the perfect wedding venue can be almost as hard as finding a man you want to marry! Sometimes you have to go through a few duds before you find the right place (or person) for you. While that might sound worse then it really is, there’s no need to lose all hope when it comes to finding the right wedding venue. Once you find “the one,” you’ll know it right away. But before you commit, you need to know the wedding venue questions that every bride should ask. After you excitedly scream out ‘Yes!’ to your partner’s proposal, chances are you’ll want to start planning every tiny detail of your upcoming wedding. When should it be? Who should we invite? What should I wear? While these are all questions that will be swimming through your head, you won’t be able to answer any of them before you figure out exactly where to get married. 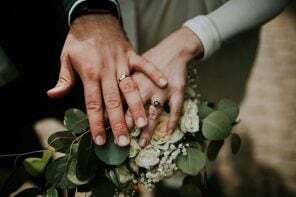 After all, without a wedding venue secured, you won’t know what date is available, how many people you’ll be able to accommodate, and what kind of vibe the venue will have (and therefore what kind of dress will work best. And isn’t that one of the most important parts?!). 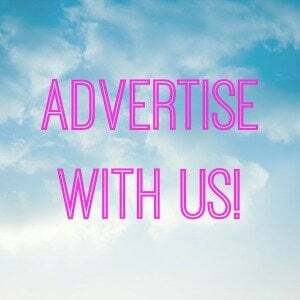 Once you start your search for the perfect wedding venue (by word of mouth, google, and of course on my wedding venues page! ), you should start booking appointments at ones you like as soon as possible. Once there (and ideally even before you start looking) you’ll want to find out the answers to these crucial questions that will help you find your perfect wedding venue. Here are the 16 wedding venue questions you should ask BEFORE you book. 1. How many SEATED guests can the wedding venue accommodate? 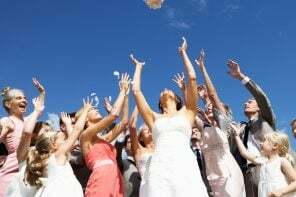 While a wedding venue might state that they can accommodate up to 200 guests, it might not always mean (shockingly) that all 200 guests can be seated at the same time. You want to make sure that however many guests you want to invite will be able to be seated comfortably inside your wedding venue. 2. How many rooms are available? Whether you’re having the ceremony in a church or temple and the cocktail hour and reception in the wedding venue, or if you’re having the entire wedding there, figure out how many different rooms the venue can provide for your event. 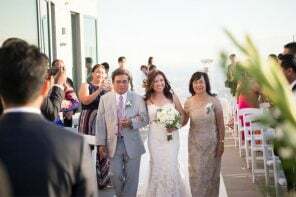 For example, at my wedding we had the wedding ceremony in one room, the cocktail hour outside (which allowed the catering team to transfer the chairs used for the ceremony to the dining tables), and then the wedding reception was in a third room. Whether you’re having the entire wedding or a portion of the wedding at your venue, you’ll ideally want to have at least two distinct rooms (or areas) to work with so guests can be in one area while setups are happening in another. 3. Does the wedding venue have a rain/inclement weather backup plan? While you might love the beachside location of your wedding venue, what happens if it rains? While a tent can be an option, does the wedding venue have another room or area that can be used in case of a storm or cold/windy weather? 4. Is there a catering kitchen/area? Some wedding venues (such as farms) do not have a working kitchen for the caterer to use. If they don’t (and you plan on serving multiple courses of hot food), you can expect to pay up to $4,000 for your caterer to set one up. 5. How many bathrooms are there? You know how annoying it is when you go to a restaurant and they have one freakin’ toilet?! Yeah. You don’t want that happening at your wedding. 6. Can you bring in outside vendors? Alternatively, can you bring in our own alcohol? If your wedding venue is not a restaurant or hotel with a built-in restaurant, food and beverages will have to be brought in. Some wedding venues ask that you choose a caterer from their list of approved vendors, while others will let you choose. You should find out which option a wedding venue offers, and also if the caterer has to bring in alcohol or if you are able to BYOB. 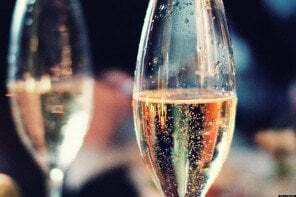 Often times a wedding venue will not allow you to BYOB, but other times they will for a corkage fee, or no fee if you’re lucky. Being able to bring in your own alcohol can end up saving you lots of money in the long run. Click here to see how much our catering and alcohol cost. 7. What is the parking situation? Is there a nearby or attached parking lot or garage? If not, does the wedding venue supply valet for a fee or do you have to arrange on your own? 8. Do they book more than one wedding a day? Sometimes popular venues will book a morning wedding AND an evening wedding. If they do, you’ll want to make sure there is ample time between the two events. Ask them how they coordinate for each, and how that would affect your set-up, tear-down times. 9. Is the venue private? If you’re getting married poolside at a hotel, in a park, or another public property, will there be non-wedding guests allowed in your area, or will your wedding be cordoned off? There’s nothing worse than saying “I do” while an overweight guy in a Speedo is staring at you from a nearby pool. 10. Where will the DJ/bar/tables/dance floor be setup? The layout of your wedding is important, not only for the flow of guests but as a practical measure for your vendors (caterer, DJs, photographers, etc.). 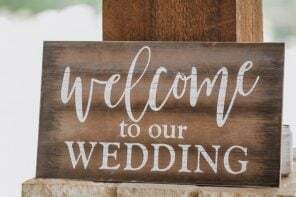 Be sure to ask the prospective wedding venue where the bar will be setup, dancefloor, tables, ceremony chairs and altar if you’re having one there, as well as DJ. You should be able to envision your wedding layout clearly in your head. 11. Is there a sound system, or does the DJ/band have to bring their own? Find out if the wedding venue is already wired for sound (and if they have speakers already), has wireless, or if the DJ/band has to setup and bring the equipment themselves. 12. Does the venue have any lighting options? I had to arrange what’s called “uplighting” for my wedding (a service our DJ provided), which are essentially lights placed strategically on the floor to “uplight” the walls and venue. 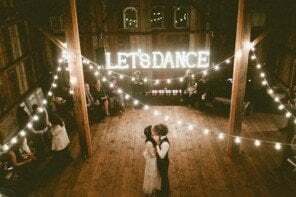 See if your wedding venue offers this type of lighting already, and what your options are (IE: do their overhead lights dim, do they all work, etc.). If you have to bring in your own (which you typically do), uplights can cost anywhere from $16-27/each. Some DJ companies will include the cost of uplights in a special package, but you can expect to pay around $400-$500 to light your reception area. I also chose to hang string lights in the outside area where we held our cocktail hour, and had to bring those in from an outside vendor for an additional $300. Anything the venue can offer for free is a help to your total budget! 13. Are there any noise ordinances? And what time can the event go until? 14. 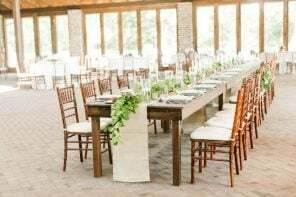 What does the wedding venue supply (IE: chairs, tables, linens, dinnerware, etc.)? Is anything included in the facility rental fee? 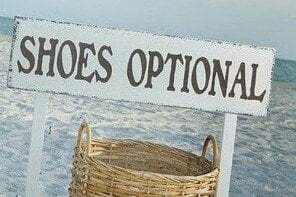 If not, how much do they charge, or can they recommend a vendor that has everything you need? 15. 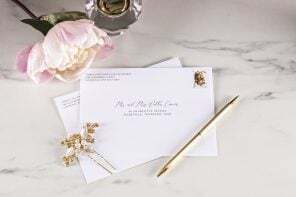 Do you have to hire a wedding planner, or is a planner or event manager provided (and if so, is there a fee or is it included)? Sometimes the wedding venue manager essentially acts as your event manager, and other times you’ll have to (or want to) bring in your own wedding planner for the day-of if not before. 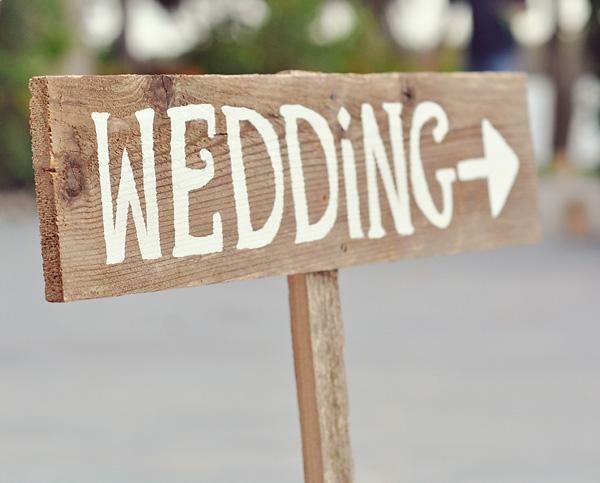 Find out exactly what is offered and what your wedding venue requires. 16. Are there any plans for renovation or construction prior to or around your wedding? Is there anything else you should be aware of that could change your plans? You hear horror stories of weddings having to be postponed or cancelled because construction on a wedding venue was not finished on time, or because a chef or caterer got out of their contract at the wedding venue restaurant. While some things can’t be planned for or avoided, talk with the venue manager and make sure there is nothing planned or talked about that could affect your wedding day! I liked your suggestion to ask about the parking. My sister is getting married and is starting to look for a wedding venue. I think that this is a really smart thing to ask about because it could make all the difference in how many people she can invite. 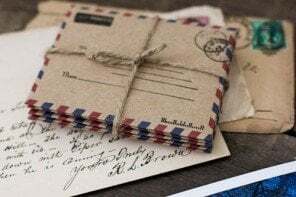 In your article, you stated that you want to make sure that however many guests you want to invite will be able to be seated comfortably inside your wedding venue. My best friend is finally marrying his high school sweetheart and has asked me to help find a wedding venue. I wonder if there are rules and regulations that most wedding venues have to abide by. 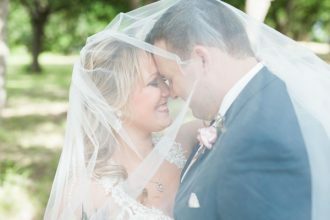 Janae and Dylan’s wedding at the Milestone Mansion proves that everything is golden in Texas….